Is your roof in need of repair work by a qualified professional? If you are in the Pampa, Texas area give Ammons Roofing a call at (806) 669-7777. We can get your property back on track toady. We understand the importance of keeping your roof functioning properly and we will do our best to provide affordable and long lasting solutions to any issue your roof may be experiencing. Here at Ammons Roofing we pride ourselves on a job well done and strive daily for excellence. We have 20+ years in the roofing industry so you know your residential roof is in capable hands. • Do you carry the proper licenses and insurance? • Can you provide me with previous customer testimonials? • What is your reputation in the roofing community? At Ammons Roofing we have 20+ years in the roofing industry. We will answer all of your questions with honesty. Peace of mind is worth so much when trusting someone to one of your largest assets. Here in the Pampa, Texas area our reputation for excellence and customer satisfaction shines bright! What Can Ammons Roofing Do for You? We all want to get the most out of our roofing investment. Those of you in the Pampa, Texas area are in luck, Ammons Roofing can help! In order to extend the life of your residential roof there are some easy steps to follow. • Have recent extreme weather conditions? It’s always a good idea to call after a storm blows through. Better safe than sorry! • Putting your roof on a routine maintenance schedule is a great start. Our technicians are able to spot small issues before they become costly repairs down the road. • As soon as an issue is spotted give us a call. A tiny leak can become a large headache quickly. With our 20+ years in the roofing industry and over 10,000 clients served, we have seen and dealt with it all! 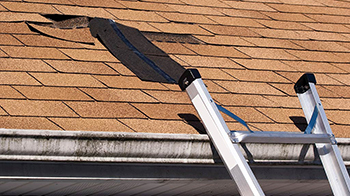 Know that your roof repair needs can and will be properly assessed and taken care of. If you are located in or around the Pampa, Texas area, give Ammons Roofing a call today at (806) 669-7777 for any of your roof repair needs. 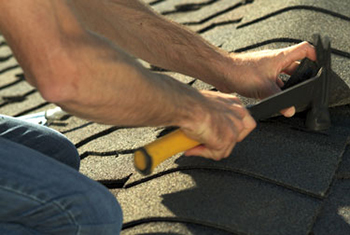 We can schedule a time for one of our expertly skilled technicians to thoroughly inspect your roof. After which you will be provided with a detailed and easy to understand evaluation. Please don’t hesitate to ask any questions or voice any concerns you may have. Our technician will answer all of your questions and put your mind at ease. We provide long term, affordable solutions to any issue your residential roof may be facing. Don’t hesitate – call Ammons Roofing at (806)669-7777 for all of your roof repair needs!